Humans first exploited the properties of Fire as a heating, cooking and lighting source about one million or more years ago. At a later point the campfire was brought inside their caves and self-build huts where the accepted arrangement became a central fire built under a roof opening to allow the choking smoke to escape. Ireland became populated only about 9000 years ago and by then, in the Stone Age, the utilisation of natural resources like wood as an energy source had become well established. In fact by 5000 years ago the combustion of solid fuels in the first Irish farmhouses was the normal method for heating and cooking. By those times the central fire had been moved to serve different parts of a dwelling and various approaches were tried to improve the draft of the fire by using stones. However, even the best open fire that could be made was only ~20% efficient because most of the heat escaped through the ventilation hole in the roof that was necessary to prevent suffocation of the inhabitants. Such unwelcome encounters with indoor air pollution were circumvented by the more technologically advanced Middle East and Ancient Roman civilizations over 2000 years ago. Here underfloor heating systems, the original radiant panels, were used to heat both floors and walls directly and, in later times, warm-air heating was introduced by the use of floor openings. The Romans also used the sun’s radiance to warm their bath-houses through south-facing windows. These innovations were lost during the dark ages but, by the 800s, stone fireplaces that had a short flue to the outside for more efficient smoke removal had been installed. Metal stoves were a much later home-improvement, being introduced only in the 17th century. Such devices became increasingly popular over the next three centuries and used, primarily, wood or coal as fuel. It soon became plain that coal generated large amounts of materials, which blackened rooms and could attack furnishings. The culprits were, and still are, soot and sulfur dioxide, which have adverse health consequences in addition to their aesthetic impacts. From a modern perspective though, note should be paid to the so-called “smokeless stove”, which was invented and used in France during the late 1600s. It was one of the first environmentally-friendly advances made by us because it co-located the fresh fuel with the combustion effluent and, by so doing, directed all combustion products over the fuel that was already burning. This arrangement ensured complete combustion and much cleaner indoor air resulted. In Ireland there is evidence that the use of clods of bogland turf or the dried form we familiarly call peat, in addition to wood, for heating dwellings goes back well over a thousand years. And by the late 18th century turf/peat was the main fuel used over the whole country. About this time the relatively small (by UK terms) indigenous coal mining industry began to operate. Soon the words “bituminous” and “anthracite” became widespread worldwide and Old King Coal began its ascent to climb into the fuel that now accounts for about one third of our global energy consumption. In contrast to this very long-term solid fuel story that spans thousands of years, the use of oil and bottled or natural gas as heating fuels is a much more recent innovation because they are not as simple to burn in the house as throwing a log onto a fire. So the use of kerosene and methane by us has only about 100 years of history. And that is the heart of the indoor and outdoor air quality problems we face because our mind-sets have been conditioned by the past to favour the burning of solid fuels over liquids and gases. PM is a complex mixture of extremely small particles and liquid droplets that is made up by a number of chemical components including acids (like sulfuric and nitric), organic compounds (some carcinogenic), elemental carbon (soot) and metals (like lead). So you can see the materials involved are mainly quite toxic. The composition though is not the only problem: the size matters too. PM2.5 (that is a particle 2.5 microns in size) is about 30X smaller than the width of a human hair. Such dimensions allow them to become deposited into the larger (tracheobronchial) branches of our lungs. The effects on at-risk members of the public (children, pregnant mothers, asthmatics and those suffering from cardiovascular problems) can be catastrophic especially over long exposure times. A more likely surprise is that burning peat and wood produces larger quantities of the PM2.5 ninja killer than smoky coal. The figures are: 4.5 kg/1000 kg burnt for peat and 9.0 kg/1000 kg burnt for wood. The second figure is twice as high as that measured for smoky coal. The figures are not good news for those living in Longford and the Midlands because that region of Ireland houses the highest number of peat-fuelled central heating systems in the country. Furthermore the measured outdoor levels of PM2.5 there in 2013 were almost double the recent guideline values recommended by WHO. Environmental Tip 1: Do not burn your home heating fuel in an open-fireplace or allow the particulate emissions to escape outside. The burning of wood and peat is also not good from a global warming point of view. Carbon dioxide (CO2) is the best known Greenhouse Gas that we release both naturally and industrially to our atmosphere. In terms of relative kg CO2 released/energy unit used the combustion list is: Wood/Peat 100%; Bituminous/Anthracite Coal 95%; Kerosene 66%; Natural Gas 60%. Environmental Tip 2: Burning any form of carbon-based fossil fuel will lead to global warming but if you must do so then use a gas over a liquid over a solid. Environmental Tip 3: In terms of “sustainability” for planet Earth there is an environmental cost to pay whatever fuel we combust for energy to keep us warm in our houses, even though wood is the one that is most close to being carbon-neutral. So what heating pathway should be taken when building a new house or upgrading a current one from an environmental perspective? Combined lessons from the Ancient Romans and the Renaissance French indicate two sensible directions. (i) Use radiant panels powered by solar energy. Technological advances are certain to be made in this field over the next 50 years and costs will come down. 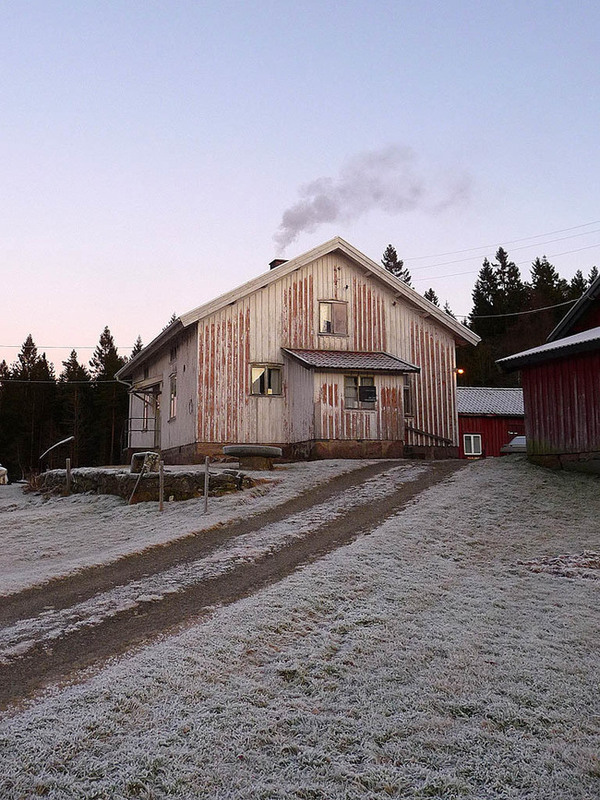 (ii) Burn the most sustainable fuel (that is dried wood) but do so only in a modern, closed, very high-temperature combustion stove coupled with a heat-recovery-ventilation system. And plant a few trees in your new garden to take up the carbon dioxide that you release by burning fossil fuels!